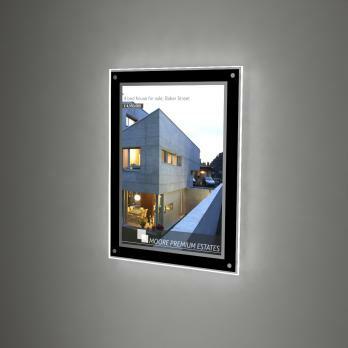 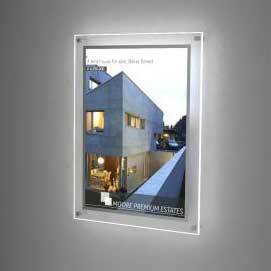 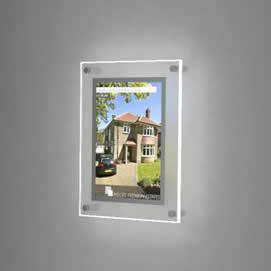 Panel is held in position with attractive satin chrome wall mounts. 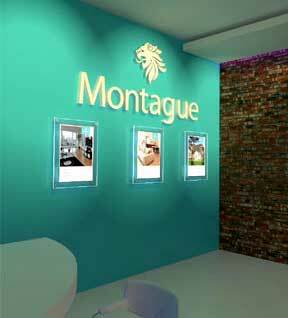 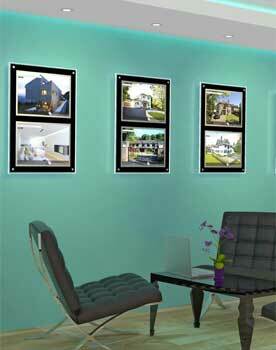 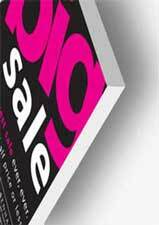 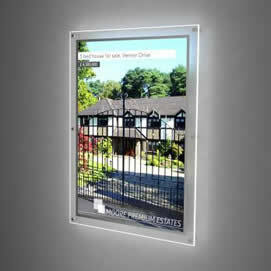 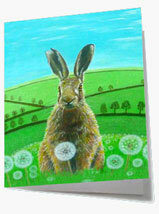 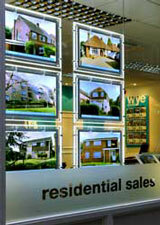 Ideal for showing featured properties or to promote your range of services. 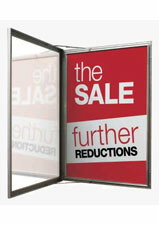 Change the graphic in seconds - no special tools required. 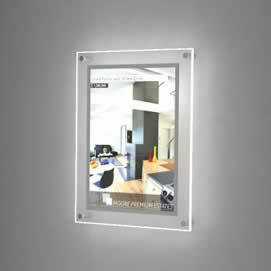 The unit is supplied complete with satin chrome wall mounts that project 25 mm away from the wall. 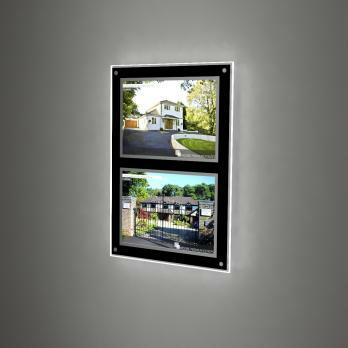 If you wish to position the power pack behind the panel then alternative satin chrome wall mounts can be supplied that means the panel will project 40mm away from the wall. 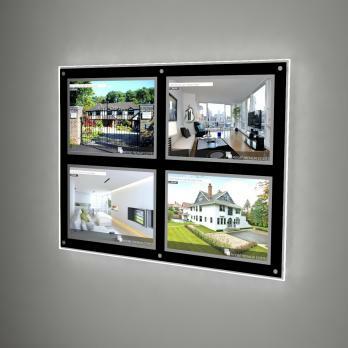 The unit is supplied complete with black wall mounts that project 50 mm away from the wall. 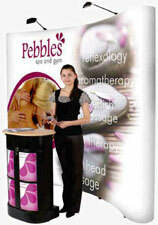 Supplied with a free power pack holder to sit behind the panel. 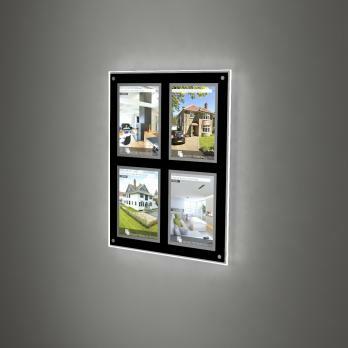 For a really tidy installation, position a standard electrical socket just behind the panel. 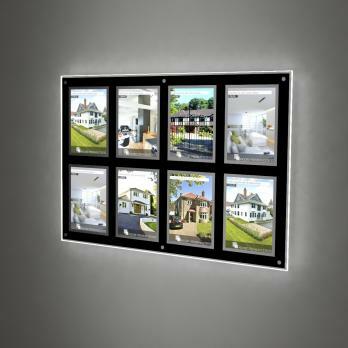 The power pack is supplied with a 3 pin plug so that you can literally just plug in and your panel will illuminate.